Welcome to ReachEdge Business Profile Editor - to use this service you should have a live ReachEdge account. 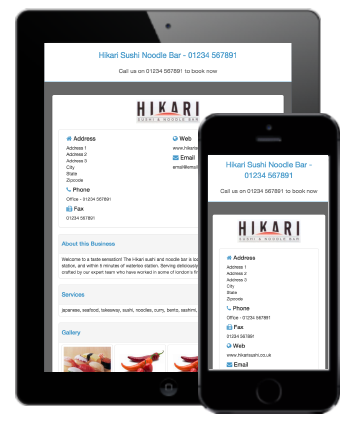 A webcard is a one page website that shows your most important contact details. It is mobile friendly out of the box. © 2018 Web.com Group, Inc. All Rights Reserved. Web.com® is a registered trademark of Web.com Group, Inc. All other registered trademarks herein are the property of their respective owners.